The news may come as a shocker for Yellow Brigade, as fan favourites Jayesh Rane and Ashutosh Mehta have decided to follow former Mumbai FC Coach, Khalid Jamil to his new club, Aizawl FC. 20 Year Old Forward, Jayesh Rane, who started his professional career with Mumbai FC back in 2012, was part of Chennaiyin FC Squad in 2016 Indian Super League. Ashutosh Mehta, who on the other hand is a defender, also started his career with Mumbai FC in 2011 and played for the since. He was part of Mumbai City FC since 2015. Khalid Jamil, who recently joined the former Mizoraam Premier League Champions, has managed a coup as he brought in his most trusted lieutenant to his new club. 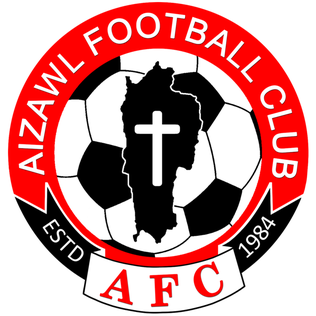 Aizawl FC. who had only Mizoram based players in last I-League season with exception of two players, Soram Poerei from Manipur and Khwetelhi Thopi from Nagaland, have appeared to have broken this precedent. They recently signed Mumbai City FC Goal Keeper, Albino Gomes on loan, who became club's first non-North Eastern signing. Aizawl FC have reached Kolkata for their opening match against Kingfisher East Bengal FC, which will be played at Barasaat Stadium on Januart 7th. The match will Kick Off at 04:30 PM and will be LIVE on Ten 2.